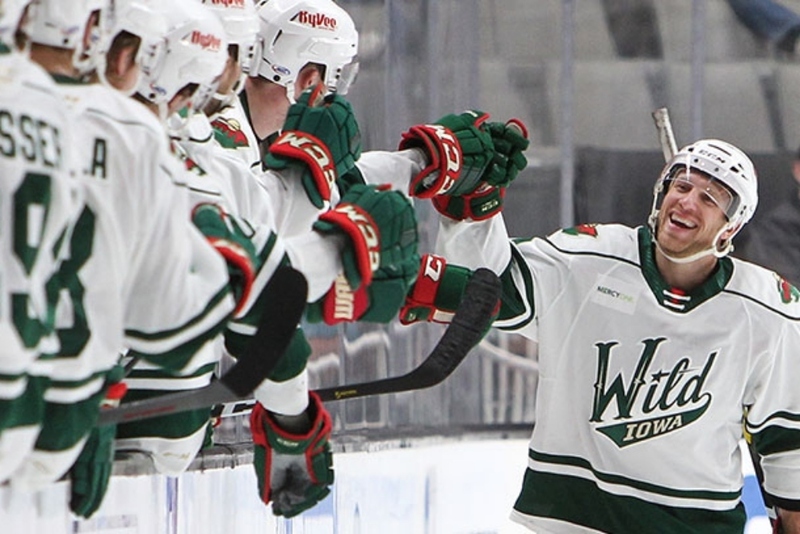 Iowa Wild issued the following announcement on Feb. 5. Iowa Wild (25-16-4-3; 57 pts.) snapped a three-game losing streak with a 4-2 victory against the San Jose Barracuda (26-9-2-4; 58 pts.) Tuesday night.